A Vancouver Police officer is being commended by people on social media for rescuing a dog that had fallen through the ice at Lost Lagoon in Stanley Park. 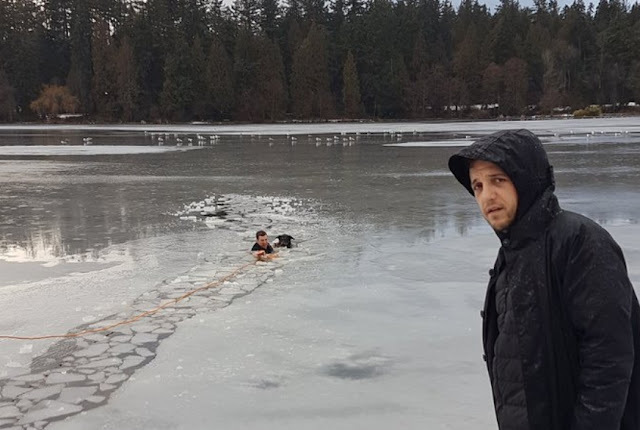 On Friday afternoon around 4:30 p.m. PT, police were called by a resident who saw a dog chase a ball onto the thin ice and subsequently fall through. Police said it was a ball the dog chased, not a bird as reported by a Twitter user who took pictures. 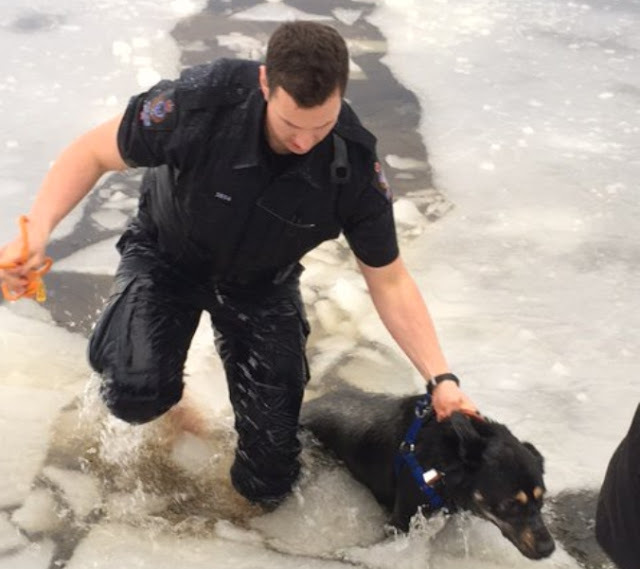 When officers arrived, they saw the dog struggling to stay above the water. 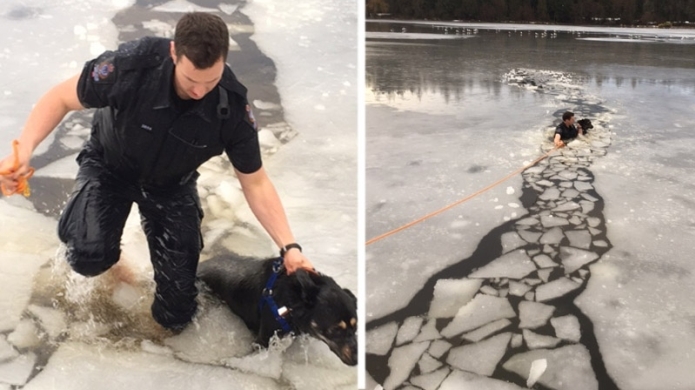 "Concerned for the immediate well-being of the dog, one of our officers removed portions of his uniform, took hold of one end of a rescue rope, and with his co-workers holding the other end, he made his way to the dog," wrote Const. Jason Doucette in an email to CBC News. 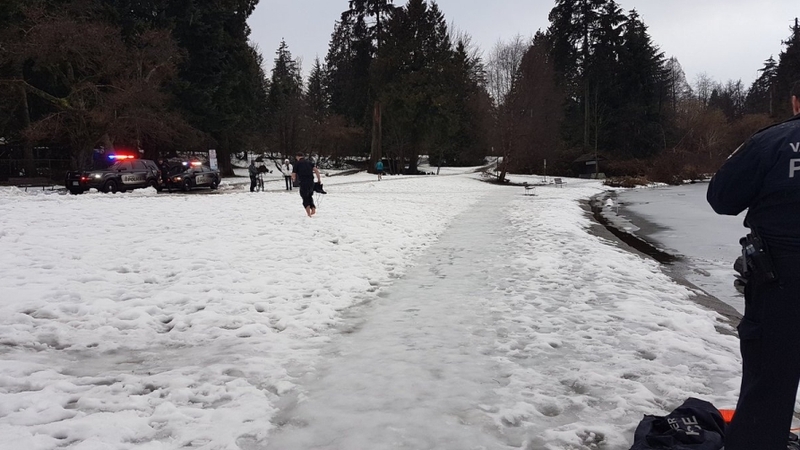 On Sunday, police identified the officer as Peter Colenutt. 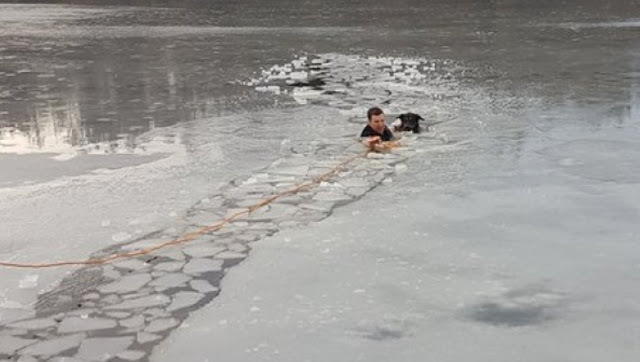 "Both the dog and our officer made it back to shore, cold, but uninjured." Photos posted on Twitter show Colenutt making his way to shore with one hand on the rope and the other holding the dog. 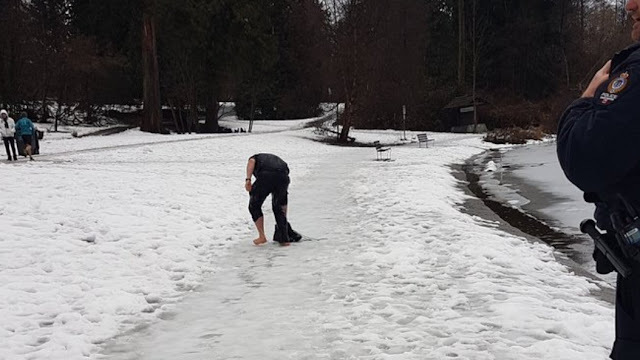 Others show him in bare feet and a short-sleeved shirt making his way across the snow-covered ground back to a squad car. 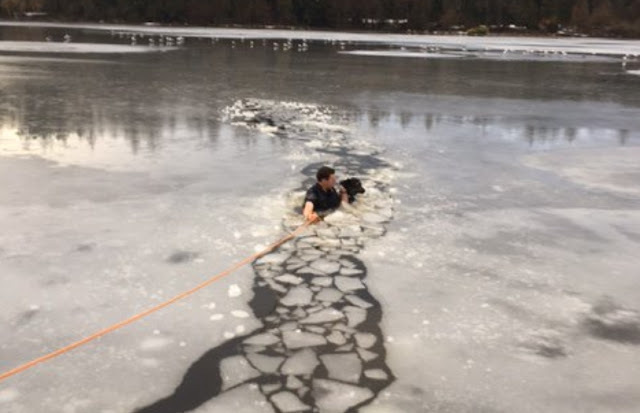 Responses to "Vancouver police officer jumps into frozen Lost Lagoon to save dog"